Many of us who are responsible for accessibility at our arts organizations never thought we would be assigned such tasks. It may be one thing in a long list of job duties. Sometimes it’s even hidden at the bottom of that list in fine print. Luckily, few of our job duties provide such reward or put you in contact with more amazing people. Furthermore, being an expert in access for the arts only requires a little intellectual curiousity, the ability to make good friends, and a lot of common sense and sensitivity. If you are an “arts person,” you already have these skills at hand. Even better, there is a place to go and learn all of the things, like the “letter of law,” that don’t come instinctively. 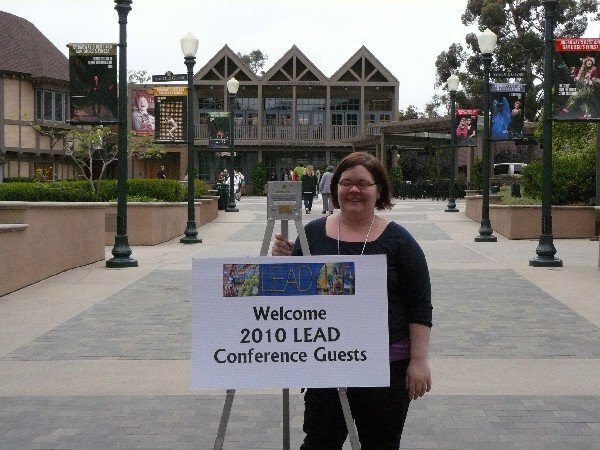 This year was the tenth anniversary of the Leadership Exchange in Arts and Disability (LEAD), an annual conference hosted by the Kennedy Center for the Performing Arts. This is the conference to attend for access coordinators, directors, liasons or whatever your boss calls you. 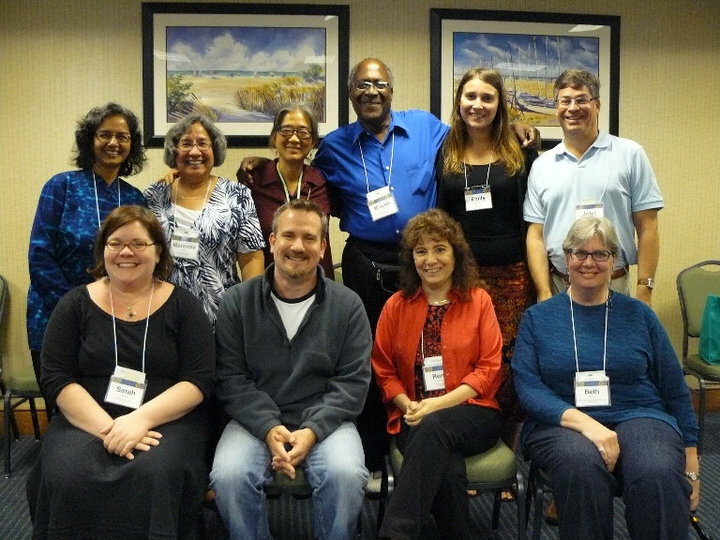 The conference was held in San Diego from August 25-29. And yes, we did go to the zoo. The Kennedy Center’s director of accessibility, Betty Siegel, reminded us that every ten year old’s dream is to go to the zoo for his or her birthday. We ate dinner whit elephants. The sessions were full of information on assisstive technology, changes to the ADA Accessibility Guidelines (ADAAG), panels featuring patrons with disabilties, seminars on universal design, Q&A sessions to ask those scary and difficult questions, great partnership models between arts centers and disability advocacy groups, funding sources for equipment and programs, and much more. The most important aspect of this conference is being able to meet face-to-face with others from around the country who work in our field, struggle with the same challenges and can share some keys to success. We met in affinity groups every evening to brief each other about what we learned during the day’s sessions. Affinity group. We had more in common than we realized. Kentucky should be proud that The Kentucky Center for the Performing Arts is one of the founding members of this conference and network. Furthermore (drumroll please!) the LEAD conference is coming to Kentucky next year. Plan ahead. If you work for or with an arts organization (whether you work directly with access or not), you should plan to be in Louisville in August.